European shellfish eaters ingest an average of 6400 tiny pieces of plastic per year, and as many as 11,000 pieces, depending on how much they eat, according a study out of Ghent University in Belgium. While almost all marine life consume microplastic (tiny pieces of plastic less than 5mm in diameter) researchers focused specifically on blue mussels and Pacific oysters. Microplastics come from many sources including microbeads from personal care products, glitter, microfibers from polyester clothing and fragments from larger pieces of plastic breaking down in the ocean. 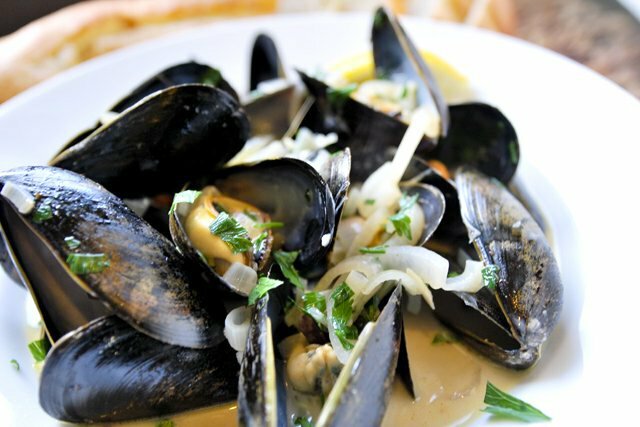 Mussels “eat” by filtering around 5 gallons of seawater a day. Most of the microplastics they take in are excreted, but each mussel or oyster typically contains at least one tiny fragment lodged into its body tissue. Scientists estimate around 99 percent of microplastics pass through the human body as well, but the remaining 1 percent are taken up by body tissues, meaning shellfish eaters could be absorbing hundreds of tiny pieces of plastic per year. “Now we’ve established that they do enter our body and can stay there for quite a while, we do need to know the fate of the plastics,” aquatic ecologist Colin Janssen, who led the research, told England’s Sky News.